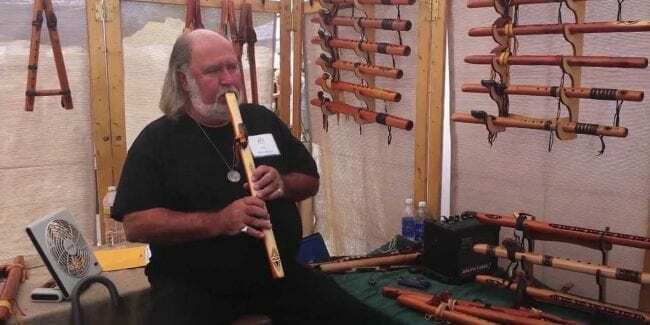 [Harry Seavey plays a wooden clarinet at Colorado Artfest at Castle Rock.] Held annually the weekend after Labor Day, the Colorado Artfest at Castle Rock invites fine art fans out to Douglas County. It’s hosted by the Castle Rock Chamber of Commerce. It’s a juried fine arts event with more than 170 artists from around the United States. It’s an entertainment packed two day weekend featuring continuous live music from leading musicians, as well as interactive exhibits for the younger crowd. Delicious Colorado food and beverage will be offered too. This year’s art festival happens Saturday to Sunday, September 7th to 8th, 2019. If you’re feeling visually inspired by any of the art works, you can purchase them to enjoy long after the festival weekend. The souvenir Artfest prints are available while supplies last.